Thrill Furniture 4 Families charity team building activities for large corporate groups and small business teams to cooperatively problem solve, communicate, collaborate and build quality essential furniture items for families in need. ” Charity begins in the home”. Queensland Health built over $6,000 of Ikea furniture assets, donated to Act For Kids. 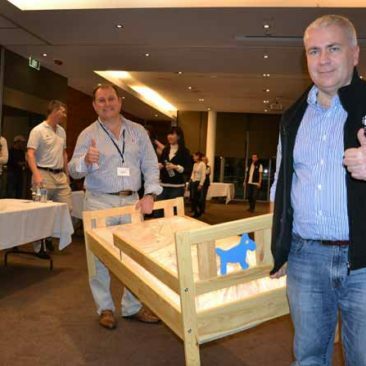 GenRe teams built furniture at The Novotel Accor Groups Magenta Shores Conference Facilities for Salvation Army. Rookwood staff in Sydney Olympic Park built exceptional flat packed interactive educational furniture donated to children at Westmead Hospital. Invest in the Thrill ‘CARE’ principle. 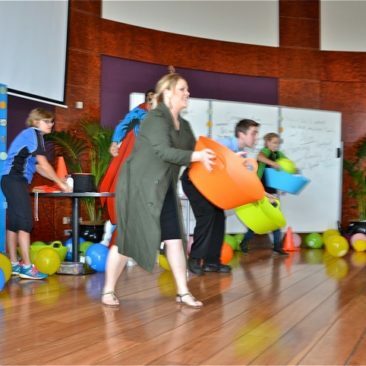 2-4hr team development CSR packages ideal to complement conference activities at all venues, Australia Wide. Thrill organises delivery of the furniture along with creative personalised donation cards designed by your team. 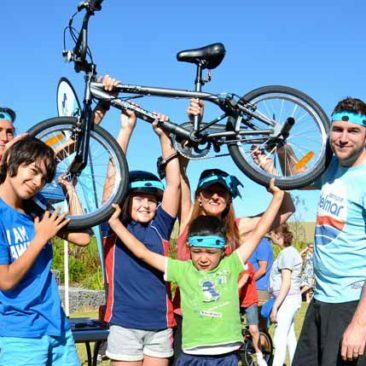 Furniture for Families is professionally coordinated and facilitated by Thrill events. They are a wonderful corporate socially responsible CSR program. That supports families affected by domestic violence, poverty and misfortune. Your business investment in staff training is directed into supporting worthy charity causes. This is a fun event. Unpacking flat packs straight out of the box. Utilising IKEA furniture supported by skilled team building exercises that build cooperation, community, collaboration and communication. Best suited for HR Managers, EA’s and PA’s within business and corporate groups looking to demonstrate innovation and a higher level of CARE for others. Help build stronger communities, supporting less fortunate families and children in meaningful, respectful ways. Experience counts from 15 participants to large group events with 100’s of staff and delegates of all abilities, all ages, customised for off sites having everyone building toward worthy causes. Corporate companies and businesses requiring specialised team building services. Where the results make a positive impact in the local community. This original in concept, personally rewarding training exercise utilises sustainable materials. Mobile to all locations, Business or Corporate Offices, Warehouses, Parks, Resorts, Conference Centers and Venues. Warehouses, Meeting Halls, Convention Centers, Hotels and Resorts. Even directly at the Charity Centers. From Cairns to Brisbane and The Gold Coast. Surfers Paradise to Byron Bay and Central Coast. In Sydney’s CBD conference venues to the Blue Mountains, Hunter Valley and South Coast right down to Melbourne. 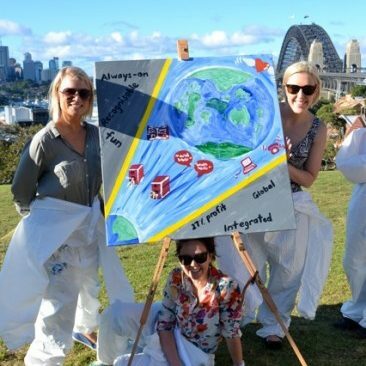 We love facilitating a wide range of Corporate Socially Responsible CSR Team Building activities throughout Sydney, Melbourne and all Australian cities and country regions. 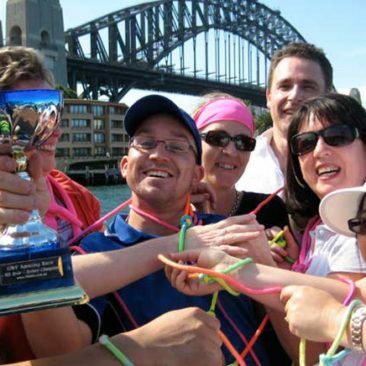 AB Mauri wanted to complete a Charity Team Building Activity to integrate staff that normally wouldn’t get the opportunity to interact with one another. At the same time were looking to give back. Choosing to donate the items to Brisbane’s flood victims that were still ‘doing it tough’ in the aftermath of floods. With the help of the Salvation Army. The furniture built with Thrill facilitation in Parramatta was trucked up overnight and donated to families impacted by the Brisbane floods. Brilliance in a partnership with Thrill. Thankyou AB Mauri! Teams nominate the desired furniture for houses that they wish to build. How many families can you assist with your staff training exercises? 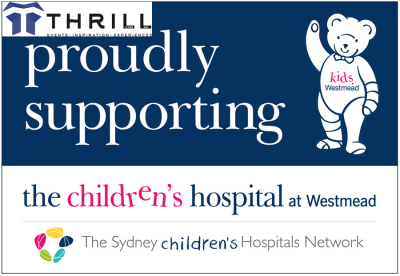 Thrill works with many charities that directly support local communities and families. 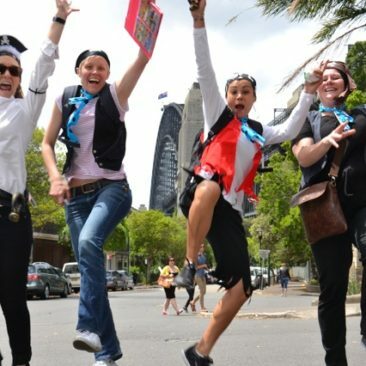 Including Salvation Army, Red Cross, Barnardos, Life Start, Randwick and Westmead Children’s Hospital as well as Mission Australia and Bridging The Gap Family Support Charity. 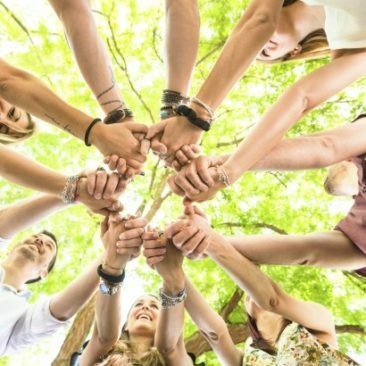 We match team building outcomes, values, behaviours, culture, leadership and activities that will inspire and motivate your employees to give their best. 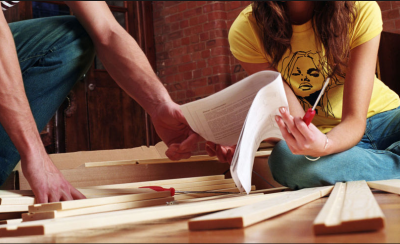 Take your team through a series of fun challenges rewarded with flat packed furniture building materials and tools. Teams complete their first challenge. Special guests and Key note speakers match and focus on the specific outcomes and objectives. Time to build the furniture; strategic planning, preparation, design and building. Teams utilise materials provided to build the furniture that they are provided, taking exceptional care to ensure no bolts, screws or joiners left over! Furniture is then put to the test to ensure alignment, stability, rigidity, reliability and sturdiness. Teams gift their creations to a worthy cause or charity. Many families live day to day without the essentials like a bed to sleep in, cupboards to put their possessions. Businesses and their staff realise the reality of how building furniture for families do make a significant difference! * ALTERNATE OPTIONS TO BUILD FOR CHILDREN – WHO LOVE TOYS! Toys, Billy Carts, Go Karts, Kitchenettes, Work Benches. Have the recipient charity or family in attendance to receive the furniture. Or Thrill can organise to have the furniture picked up and delivered. 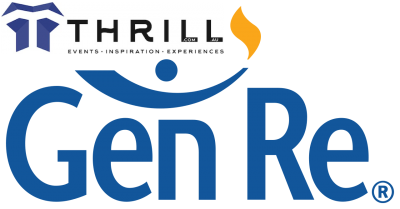 THRILL furniture for families charity team building activities are adapted to suit all locations. This can even be at your offices, then directly transported to a selected family or charity organisation. Training programs start with interactive team games to get to know each other better. Sharing personal stories and a real life situation review. Teams gain insight through multi media or video presentations witnessing the struggles and life story. Gaining understanding on how their input makes a +ve impact in the families lives who receive the furniture. Flat Packed furniture is then distributed to the teams to assemble. Organised on the basis of integration and getting to know each other better. 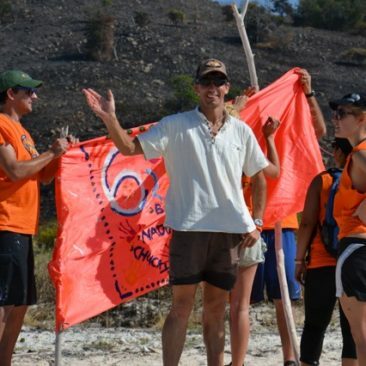 Each team is provided with the necessary instruction and play a series of fun games to acquire tools, ready to build. Thrill facilitators guide staff teams through the instructions and step by step build the pre-selected quality furniture. Team members become specialists in alignment, corner fittings, runners and are rotated throughout the other teams to act as co-instructions sharing their knowledge. The final minutes are as a united production line activity. Quality Controlling and checking the furniture is excellent – ready for delivery, ensuring a terrific result for recipients and your guests. – by adding gift cards with positive messages to accompany the furniture items you have built. Please call 02 9630 2222. 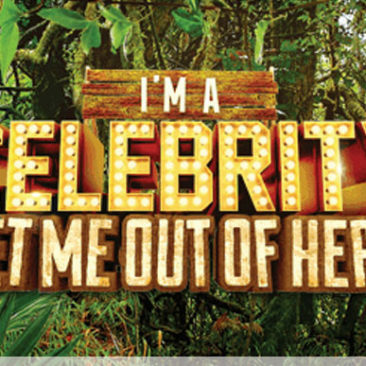 To discuss rewarding charity team building events quotes. Ideal for managers and EA’s event planning conferences, off sites. Creating volunteering opportunities and meeting activities that make a real positive contribution to local communities.